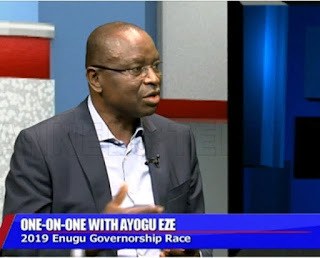 Senator Ayogu Eze has been sacked as the governorship candidate of the All Progressives Congress, APC, in Enugu State. A Federal High Court in Abuja today sacked Ayogu and gave a judgment in favour of Barr. George Ogara. Reacting, Ogara told DAILY POST in Abuja that it was a victory for the people. “We thank God that justice has come at last. I urge our party members to remain united as we go for victory in the forthcoming election,” Ogara told DAILY POST.